You are here: Home / Recipes / Dinner / Atomic Chicken Recipe! I am on vacation still and just realized that I wouldn’t be cooking anything this week. 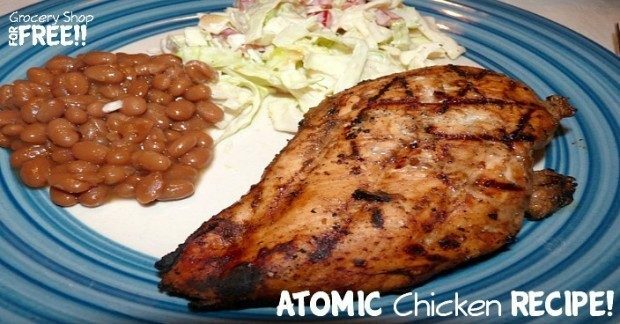 However, the friends we are vacationing with are cooking dinner tonight and have offered one of their favorite grilled chicken recipes, Atomic Chicken, along with an easy technique for whipping up dinner quickly. I just ate it for dinner and it was so flavorful. As far as a recipe, he just pours but I pressed him for proportions. Here is the best he could give me. 3 parts Worcestershire Sauce to 1 part mustard. As you can see in the video, the mustard type is optional. The Tabasco is just splashed in and the amount depends on how hot you like it. But as he is cooking it and re-dipping it, he adds more mustard. Now the proportions would probably be more like 2 to 1. The mustard sticks to the chicken but doesn’t char the chicken like a BBQ sauce will. Don’t forget that you can throw frozen chicken right on the grill and as it thaws, dip the grilled side into the marinade….then turn it over and put it back on the grill. Do this several times. 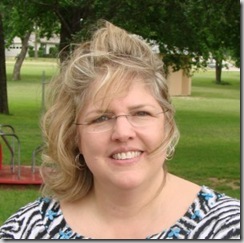 For help to grow your business, check out Chris Hart’s website. The components of the Business Operations Blueprint, make a comprehensive business plan for any type or size organization .